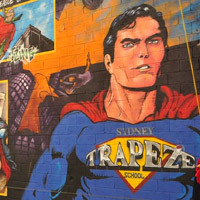 Sydney Trapeze School has been established for over 3 years and has held hundreds of corporate team building activities, adult parties, hens & bucks parties, christmas parties and functions. 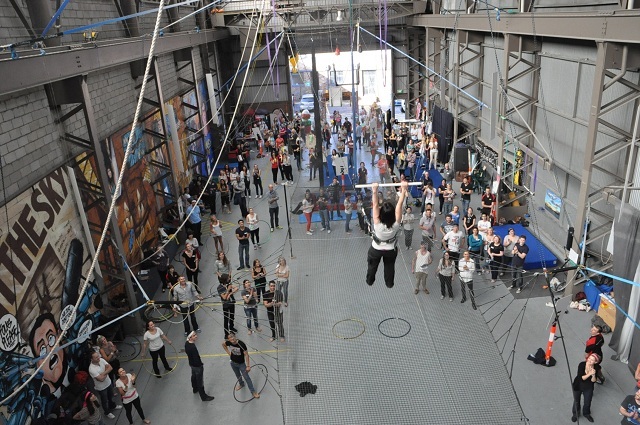 Sydney Trapeze School St Peters (indoor) is located only 15 mins drive from the Sydney CBD, easily accessible from St Peters train station (10 mins walk). Our huge indoor warehouse enables us to hold large groups in a contained environment, and classes can be run regardless of weather conditions. 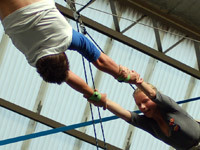 St Peters - Sydney Trapeze School frequently has groups of 12 – 50 people attend our 2 - 3 hour flying trapeze and circus classes. 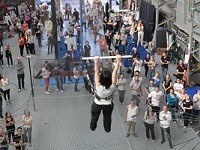 Groups as big as 220 people have had fully themed extended sessions for team building events, private parties and staff Christmas parties. 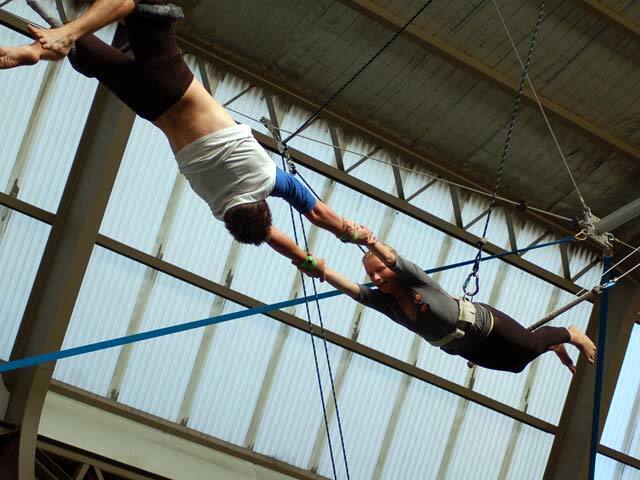 All our instructors are fully trained in all things flying trapeze, circus and especially in the art of making your special day fun filled, exciting and very different to the usual team building, corporate event or party. 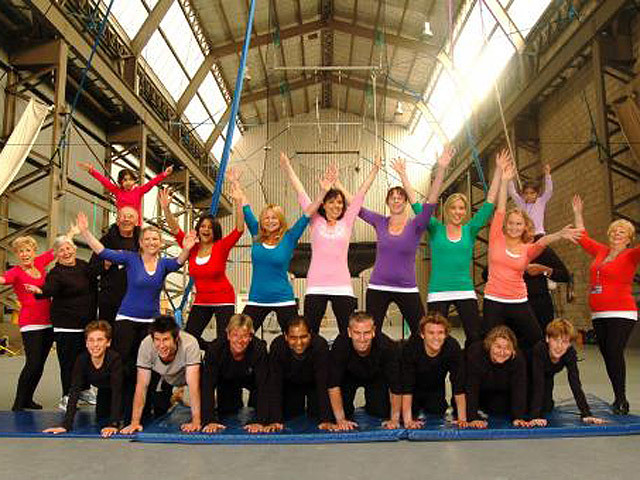 At Sydney Trapeze School we get the whole team involved. 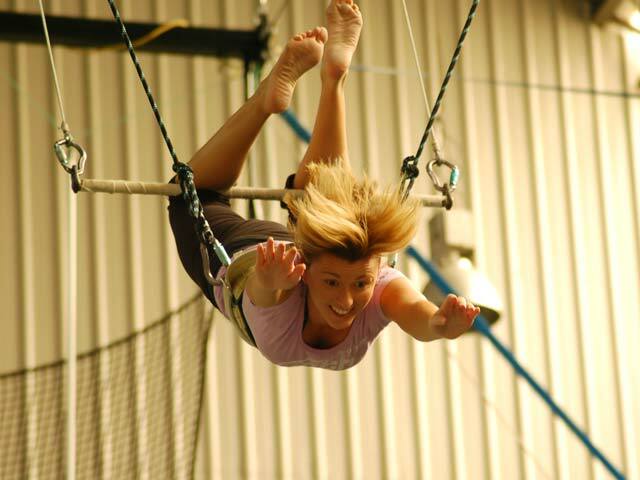 Challenge your boss to fly through the air with the greatest of ease, watch your manager juggle some balls instead of his workload and give your secretary a break spinning some plates instead of spinning off the rails!